The Zebra P310i is an easy-to-use, reliable, single-sided card printer with convenient features that produces superior quality at a competitive price. The P310i is ideal for time and attendance cards, student IDs, facilities access control, club membership and other regularly-used ID card applications. 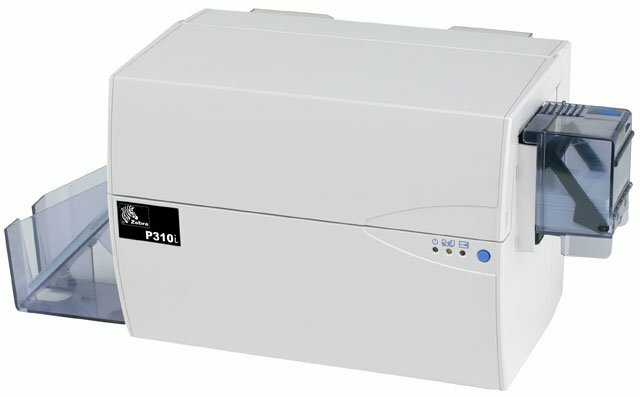 The P310i features 25 seconds per card printing speed, full-color printing, USB or parallel connection and a 75 card capacity feeder. The Zebra P310I-0000U-ID0 is also known as ZCD-P310I0000UID0	or P310I0000UID0	.